Ljubow Chaikevitch is a Design Thinking as well as LEGO® SERIOUS PLAY® facilitator. She is passionate about innovation, startups and HR-marketing. She has worked on building up the cooperation and marketing section of the Bertelsmann-Startup career loft in Berlin, served as a supervisor for the partners of the innovation-driven new.New Festival by CODE_n in 2016 as well as at the startup centre of the Stuttgart University. As an independent consultant, she supports various corporations as well as non-profit-organizations in the HR-marketing sector and helps her clients to develop strategy- and innovation processes. Furthermore, she offers method-trainings in companies as well as at universities. With an original background in International Business (M.Sc. 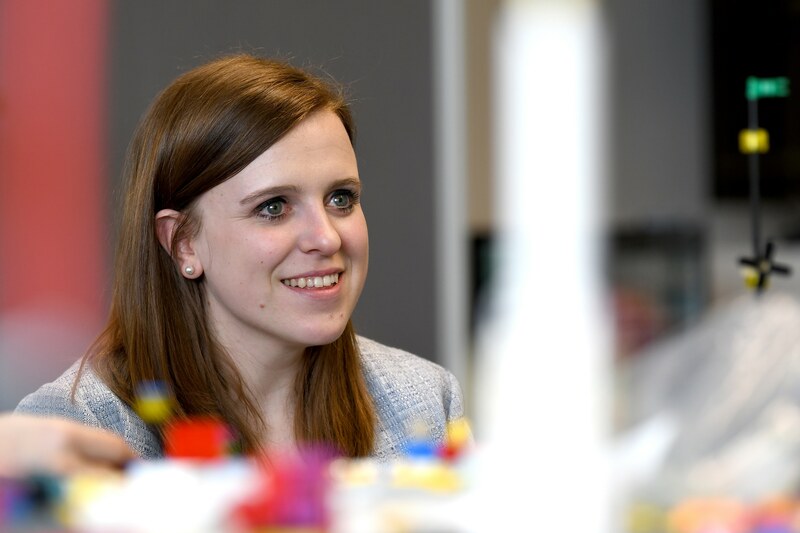 ), she acquired her Design Thinking skills at the School of Design Thinking in Potsdam and became a LEGO® SERIOUS PLAY® facilitator, learning from the architect of the method, Robert Rasmussen.